Steven Land has some of the most talented designers available when it comes to their collection of all cotton dress shirts. They never rest on their laurels and take their updating of styles seriously. 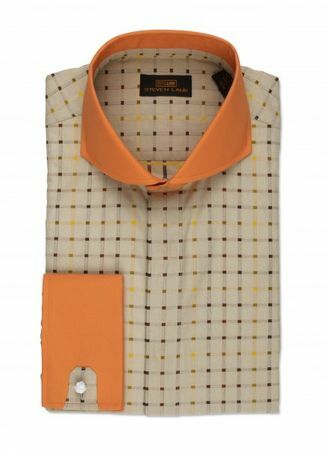 This tan and rust color cotton shirt features fancy cuffs and rust color spread collar that reflects the style that Steven Land is all about.